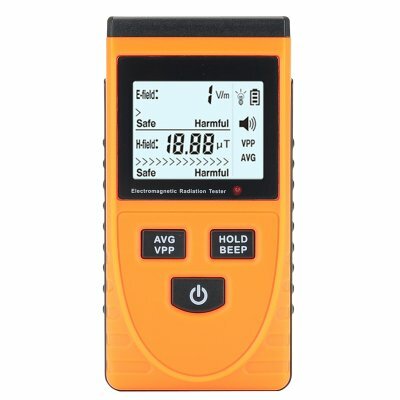 Successfully Added Electromagnetic Frequency Radiation Detector - 5Hz To 3500MHz, 1 To 1999V/m Range, LCD Display, Ghost Detector to your Shopping Cart. Many people believe that the electromagnetic fields emitted by electronic devices such as microwaves, electric smart meters as well as just about every other home appliance can have a drastic impact on health. Some people are much more susceptible to these than others and suffer from a range of health effects that have been directly related to electromagnetic radiation such as hyper tension, increased heart rate and many other ailments. 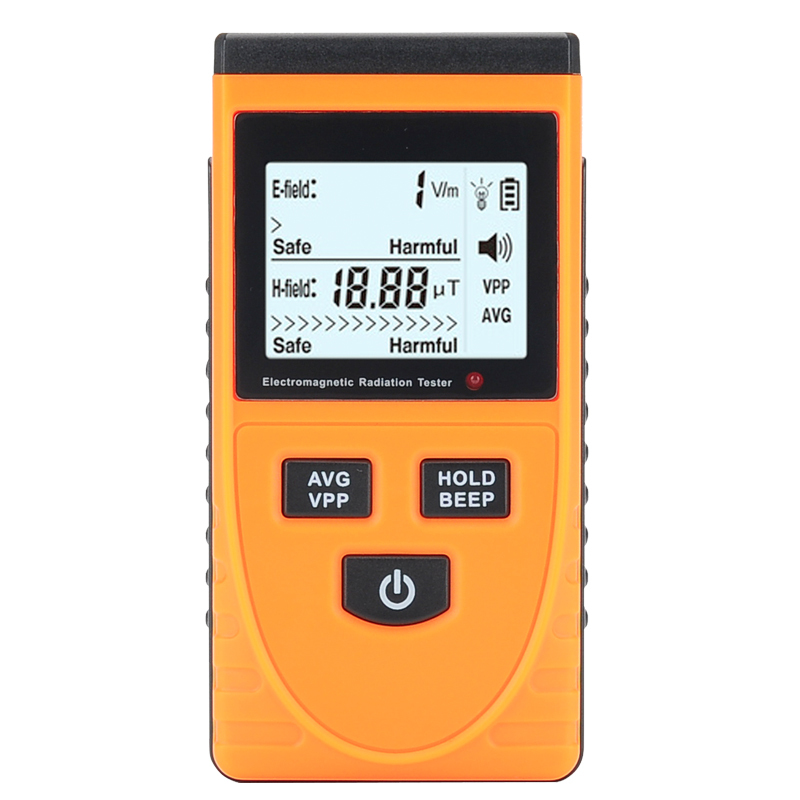 This electromagnetic radiation tester is able to detect the small magnetic fields created by electric appliances within the range of 0.01 to 19.99 microteslers. Whether it's a communications tower, microwave oven or smart meter it will give of some form of electromagnetic radiation that could be potential damaging to your health, especially if exposed to it over a long time. With this electromagnetic tester you can detect this radiation, determine where it’s coming from and plan your house or surroundings to limit the exposure, especially if you’re one of the people who are hypersensitive to this type of radiation. There are a number of ghost hunters who detect paranormal activity and use electromagnetic radiation meters in their investigations into locations of paranormal interest. With EMF meters such as this device, ghost hunters monitor the electromagnetic fields in a given area in the hope of detecting abnormal readings that could indicate a paranormal presence. So whether it’s for looking after your health or searching out Casper this electromagnetic radiation detector is the tool you’re looking for and comes with a 12 month warranty. Brought to you by the leader in electronic devices as well as wholesale electronic gadgets, Chinavasion..